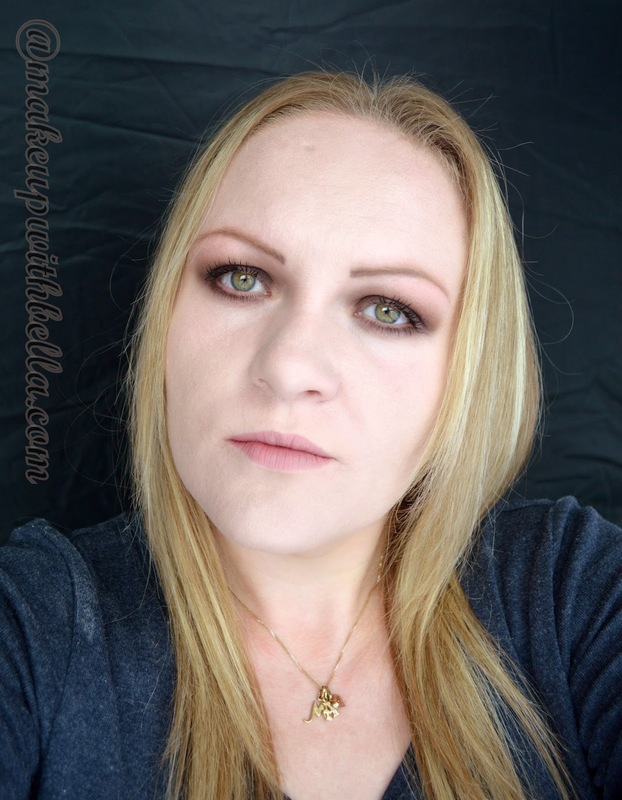 Makeup with Bella: The 1990's "grunge" makeup look. After crazy and colorful 80's to the fashion was returning the natural makeup. The colors of the cosmetics supposed to be warm- the main colors included browns and beiges, which emphasized the beauty and modeled the face. The hairstyles were rather "quiet" too. In the 90's dominated straight, smooth and shaded hair. A sensation made "Rachel haircut", one of the heroines of the TV series "Friends" played by Jennifer Aniston. On the other hand, women very often chosen the short cut hair- shaded, very short on the back and sides, but longer on the top and front of the head. The beauty icons of the era 90's include: Courtney Love, Drew Barrymore, Cindy Crawford, Gwen Stefani, Kate Moss or Claudia Shiffer. 1. Eyes- the sparkling and bright eye shadows. 2. Brows- with dark lipstick, heavily underlined and very thin eyebrows were the mandatory. Even if the ladies have been hesitant to use brown on the lips, eyebrows became clear to them the absolute fundamental of makeup. 3. Lips- this is one of the first associations that immediately comes to mind when we think about the most popular trends in the makeup of the decade. Underlined with dark lipstick lips - in shades of brown, or plum - were the absolute hit; moreover lips outlined a darker liner pencil and filled in a lighter shade of lipstick enjoyed great popularity among fashionable women in the 90's. Today is rather difficult to imagine a big comeback this kind of makeup. This beauty trick detract from the beauty rather than add. The ladies, which didn't like the fashion of maximalism, found an excellent alternative for themselves in a natural and slightly softer makeup. Gently emphasized eyes and lips in a shade of peach also enjoyed great popularity. 1. Revlon ColorStay, Combination/Oily skin, 110 ivory. 2. Essence, All About Matt, fixing compact powder. 3. 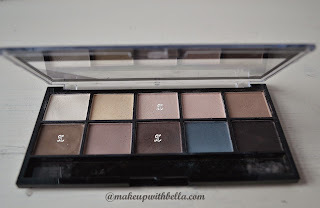 Avon, Under Eye Shadow base, light beige. 4. 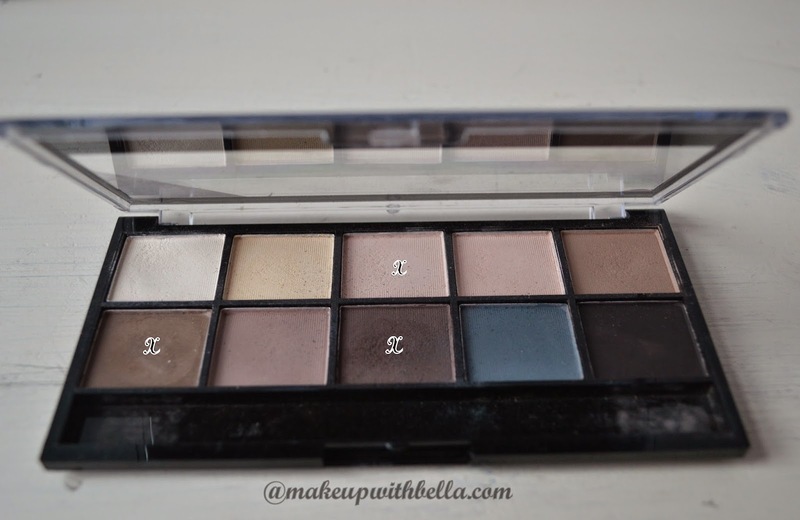 MUA, Makeup Academy Professional, Ever After, Matte Palette (medium brown . 5. Mon Ami Paris, Waterproof Eyeliner No 5 (applied on the lower and upper lash line and blended). 6. Max Factor, Eyebrow Pencil, 2 hazel. 7. Max Factor 2000 Calorie, Dramatic Volume, black. 8. P.S. Love..., Lipstick (brown/pink color). All cosmetics used to create "grunge" makeup look. MUA, Makeup Academy Professional, Ever After, Matte Palette. As you can see I have not used a blush or bronzer. After applying the lipstick I put some powder to create more mat finish.